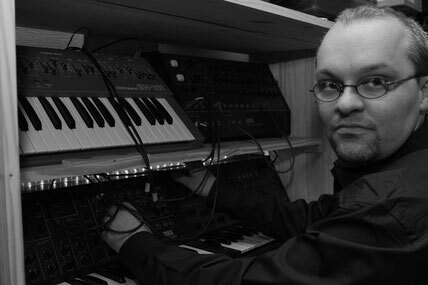 Born in 1974 in Metz, AstroVoyager - whose real name is Philippe Fagnoni - was engulfed in the passion for electronic music. Fascinated by space and fuelled by the electro explosion of the 80s, this atypical and creative French electronic artist invites you to explore the infinity of his audio-visual universe and gravitate to the very limits of electro-symphonic music. Join him aboard his spatio-temporal capsule to travel through time and space together. AstroVoyager distils visual and kinematic music which transports us on an epic and dreamlike journey steeped in science fiction. 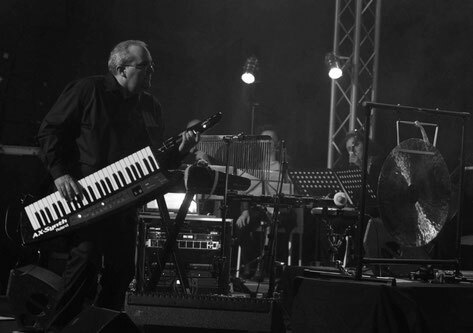 He gradually weaves his electronic instruments with classical orchestral instruments to create an electronic symphony in a blast of strings ensembles, soprano divas, percussions, synthesizers and electronic beats. Thus he sets collaborations with renowned classical musicians from the Travelling Quartet (Anne Gravoin), the Tetraktys Ensemble (Dominique Miton), the ElectroDiva (Sophie Elert) or the Prague Concert Philharmonic, but also with acclaimed electronic musicians such as Blackbird Blackbird or Deep Forest (the only French electro group - other than Daft Punk - to have won a Grammy Award). For his influences, he readily cites the pioneers of electronic music Jean-Michel Jarre, Space (Didier Marouani), Klaus Schulze, Tangerine Dream, and also the film score composers Hans Zimmer or Eric Serra, and later the Dutch DJ producer Armin Van Buuren, but also Jeff Mills, Marc Romboy or Carl Craig as artists who have had a major influence on the production of his creations. Attentive ears may also think, as they listen, of the atmospheric moods of early Pink Floyd, the rhythmic flights of the Alan Parsons Project, but also of Era, Schiller or Enigma, and even some lounge-trance productions of recent years. Whatever the labels or the reminiscences, the approach of AstroVoyager is undoubtedly in timelessness, openness and accessibility, with the sole objective of making us travel. Signed in 2006 by the Dreaming-Musea label for the distribution of his records, AstroVoyager can now give a glance in the rearview mirror of his spatio-temporal capsule at his successful concept albums «Temporal Gravitation» (2006), «Symphotronic Lunation» (2010), and «ElectrOpera» (2012). In 2011, having landed his spatio-temporal capsule in Dole, his adopted homeland, the project of creation of CosmXploreR was born, an independent record label that aims to promote electronic music and develop meetings between electronic and classical musicians. 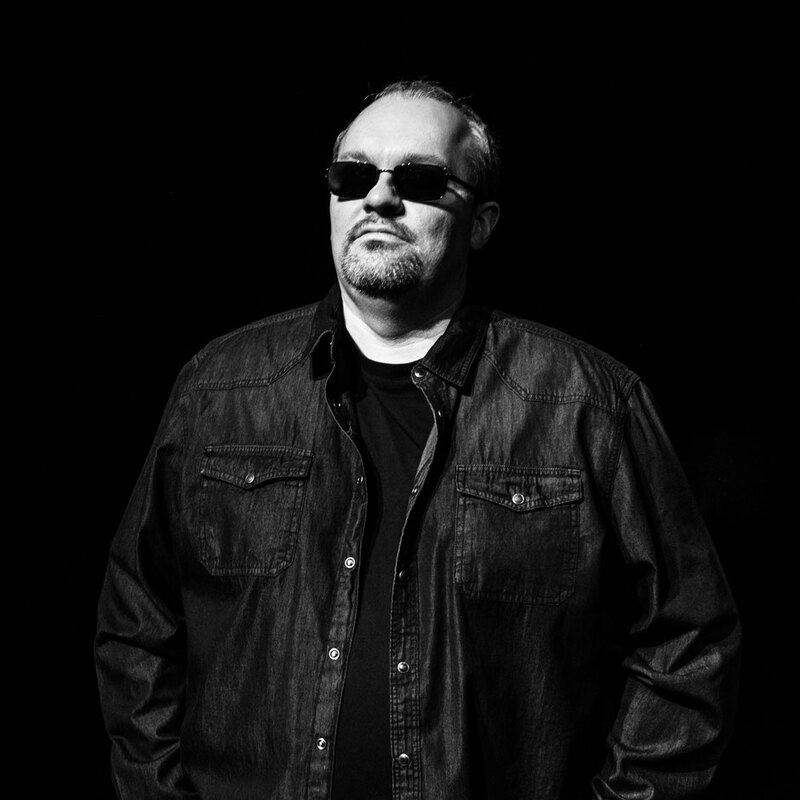 AstroVoyager has thus built the foundation of one of the only labels dedicated to Electro-Symphonic music in the world. AstroVoyager has explored the boundaries of electro-symphonic music for ten years now. Some of his best-known titles such as «Telescope», «Full Moon Rendezvous», «Apollo 11», «Pulsation IV» and «Oscillation V» are cut to withstand the test of time. AstroVoyager is also known for his live performances. Here again, wether it is during his energetic, highly-charged pyromusical outdoor events in front of thousands of people or during his concerts in intimate seated auditoriums, he successfully maintains the a balance between electronic and classical sounds. Each of his shows is a dynamic combination of digital arts (video, mapping, laser, special FX etc. ), evolutive scenography (performers, dancers, pyrotechnics, …) and interactivity (with a bespoke smartphone app). Attending a show by AstroVoyager is to be transported, to become completely immersed in the music and the images, and to unite with the people around you: that's exactly what travel together on a cosmic journey through time and space means. This is what makes the performances of AstroVoyager such indescribable and unique experiences. 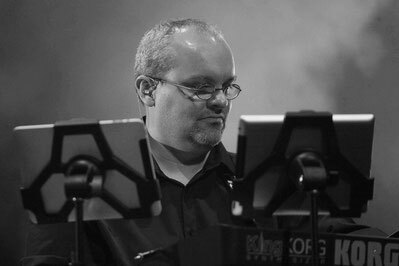 The scenographic highlights of his career were his performances with the Tetraktys Ensemble for the ElectrOpera project and its pyro-musical outdoor version since 2014. And it is of course Big Bang, which was presented in a preview in October 2015 in Dole with the Prague Concert Philharmonic, to be released as a DVD in the forthcoming months..
With Big Bang, his new LP, AstroVoyager synthesizes an exceptional interstellar journey. It is a return to the basics, the source of emotions. 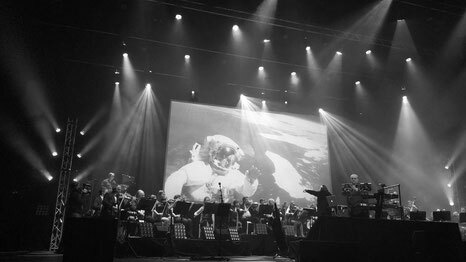 A different experience at the heart of music, of light, of matter and of humanity...It is also a message of hope to our world where we must become the architects of the future… And AstroVoyager invites us to join him on this cosmic journey to travel through time and space together again! Forget every landmark and let yourself be guided by sounds and emotions. AstroVoyager is determined to continue to offer new worlds to explore together!